Today let us have a quick look at the exam of RBI Grade B officer. This is like the top job for an entry level aspirant, one can reach the position of Deputy Rbi- Governor through this Direct recruitment. Another aspect is the posting would be maximum in Metro cities as it RBI has its offices only in metro cities. Above all, it’s a great honour to get associated with the “Central Bank” of the country. Please do remember this is not like other Bank exams, RBI expects in-depth knowledge of the concepts because the one who recruited as Gr B officer take part in making the economic formulations for the entire country. 3. Officers in Gr B – DSIM – Department of statistics and Information management. Officers in Gr B- General is the entry-level job for the Graduates with prescribe (%) percentage, For the remaining two categories one should possess a Master Degree as prescribed in the notification. Now let us discuss in detail regarding Officers in Gr B – General. Exam for RBI Grade B officers has three stages namely Phase- 1, Phase -2 and Interview. Only Phase - 2 marks are considered to give a call for an interview. Note: In RBI Grade B 2017, 69% of the questions were asked from the dynamic portion. Download ESI Paper of PDF 2017. Team BankExamsToday makes a monthly capsule for RBI Grade B exam. In this capsule, we summarise all dynamic portion of ESI papers. This capsule is available for free and we call it RBI Grade B GK Digest. 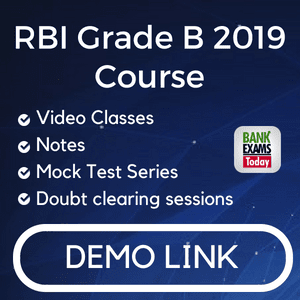 Download RBI Grade B Monthly GK Digest for January 2018. 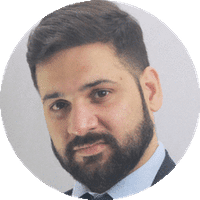 The Role of a Manager in an Organisation. A successful Leader versus an effective Leader. Role of Incentives in Building up Morale. Let us now discuss the preparation strategy and books to be followed for Paper-3. One should have a vast knowledge of various concepts and should follow the latest happenings across the country in Social, Political, Economical, Legal and Technological aspects. In general, 60% weight is given to finance and 40% weight is given to management. Also, focus on the numerical problems asked from the finance. Even though questions asked are of basic level it differs the aspirant's chances of selection. If one is not comfortable with the numerical then focus more on management and theory part of the Finance( This is for the candidates who started preparation after having look of phase-1 result). But at this level of competition, I recommend not to skip or leave any topic, plan and prepare a step before but do not start your preparation at the edge of a moment. But the numerical play very important role in selection doesn't neglect them. Please do remember all these Textbooks are for those aspirants who have ample time, strategy and good motivation to prepare but not for one-day batting. 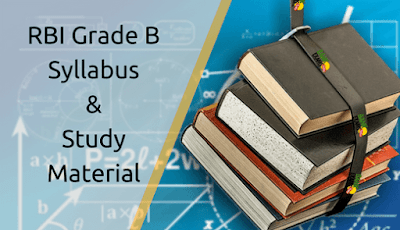 And for the aspirants who start their preparation after prelims result where they will get hardly 20 days to crack the exam, I suggest them at this cut-throat situation you better follow any good blog like ours which provides a good compiled material in the examination point of view. Reserve Bank of India is one of the most reputed and recognised institutions of Indian Financial System. Getting recruited in RBI is always a dream come true and many students keep an eye only on RBI Grade B exam and prepare for it day and night. This exam is not everyone's cup of tea because the syllabus and exam pattern is quite different from other recruitment exams. 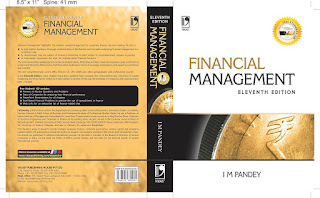 This book also has good numerals even though it is a bulky book but, knowing all the concepts gives you an edge over the others. 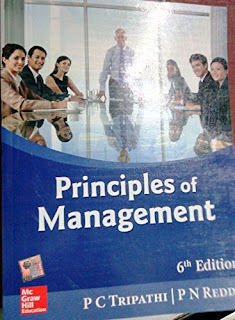 This is a good book for management to understand the basic concepts of management. 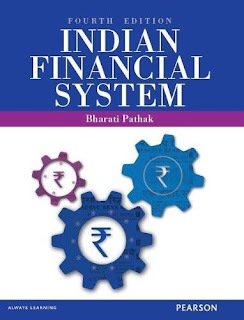 This is a very good book to understand the finance and banking concepts. It covers the concepts in-depth.